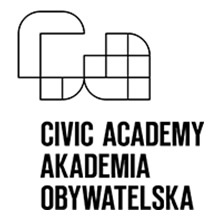 Civic Academy is a young professionals gathering organized by Lech Wałęsa Institute since 2010. Purpose of Civic Academy is to bring together a group of inspiring, young people to share ideas while listening to carefully curated talks on a broad range of subjects. Inviting young activists from countries with different levels of democracy, ranging from EU states to countries still struggling for free elections, allows to develop a sense of solidarity and mutual understanding. Civic Academy at the XIII World Summit of Nobel Peace Laureates is a series of designated workshops, get-togethers and cultural activities targeting students, young professionals, human rights activists and emerging entrepreneurs from variety of backgrounds and countries.